Enjoy my take on many of the teas I have enjoyed over the years. Always rated on a 5 point scale, entirely my subjective opinion. 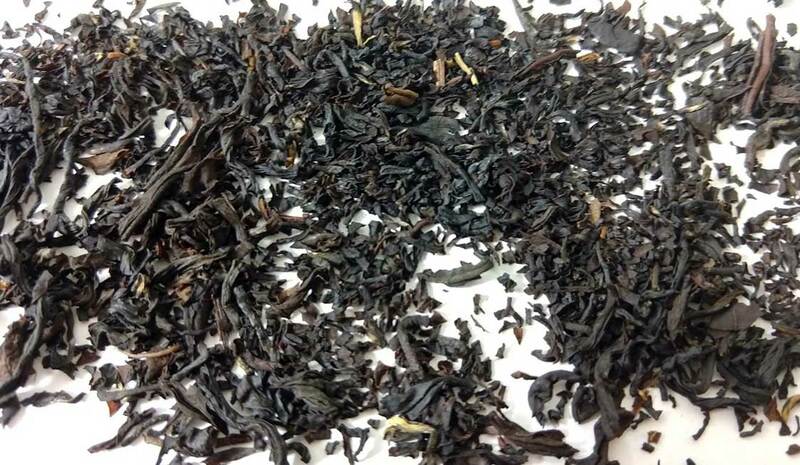 Prior to my stop at crimson teas a few weeks ago, I thought that all pu–erh tea was fermented. Turns out, there are two kinds, one fermented and one just packaged and aged. 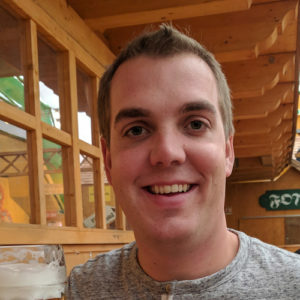 This is my first time trying the “raw” pu–erh and it was a lot different. It had been packaged in 2014 according to the bag it came in, so it had aged for a little over four years when I tried it. 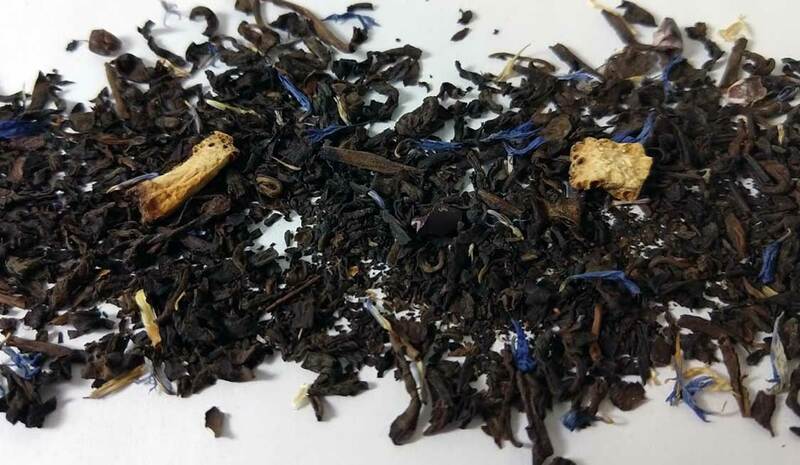 For one, the bad smell is gone, and it was less oxidized than I was expecting, more like a green or maybe Oolong tea than what I think of when I think of pu–erh. The leaves were an interesting texture, really large whole leaves that kind of unfurled as I drank the tea. the flavor was good, grassy, a little woody maybe like a really well-balanced cup of green tea. 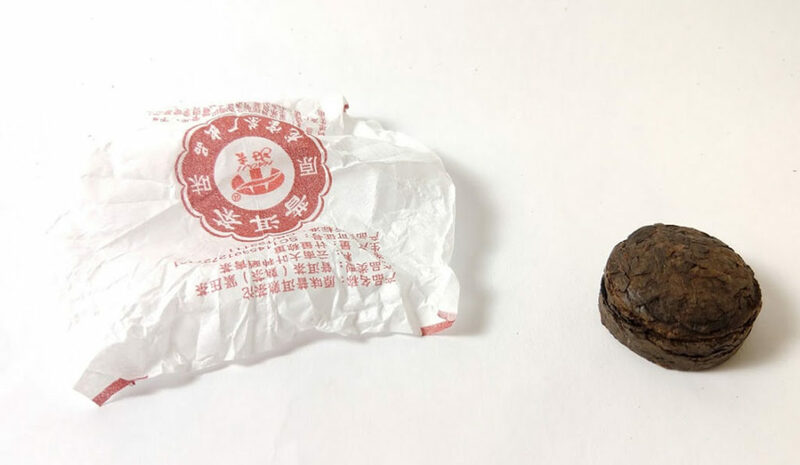 I was really excited to try this one, it is the first time I have seen a pu–erh tea cake up close. It was firmer than I expected, with the tea leaves almost flaking off in dry little chunks. When breaking it apart it retained the cake shape more than the individual leaves breaking apart like I was expecting. Another thing I found interesting was is sank to the bottom of the brewing cup almost immediately, and the water remained clear except for at the very bottom where the tea leaves were while it steeped. 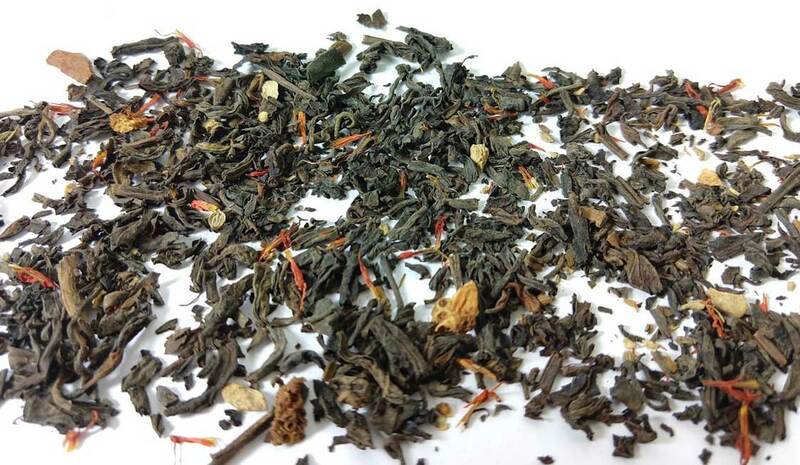 If there is one tea in the Adagio sample that completely hides the off-putting scent of the Pu Erh tea, this is it! It is packed with spices and orange pieces. To be honest, I forgot it was pu erh tea I was supposed to review and drank the first glass. Oops. Having said that, I’m not a huge fan of overly spiced teas, and this is definitely one of the most strongly spiced I have tried. Maybe, if spiced teas are normally your thing you might like this. To me, it just feels a but too much like drinking a cup of potpourri! There is a little bit of a pu erh undertone, but it’s all in the aftertaste. What’s the point in buying an aged tea if it’s hidden so completely?If there is one tea in the Adagio sample that completely hides the off-putting scent of the Pu Erh tea, this is it! Packed with spices and orange pieces, to be honest, I forgot it was pu erh tea I was supposed to be reviewing and just drank the first glass, (oops) Having said that, I’m not a huge fan of overly spiced teas, and this is definitely one of the most strongly spiced I have tried. If spiced teas are normally your thing, then I think you might like this, but to me, it just feels like drinking a cup of pot-puri! There is a little bit of a pu erh undertone, but it’s mostly in the aftertaste. To me, what’s the point in buying an aged tea if it’s hidden so completely? P.S. – Sorry this is a day late, it’s been a busy week! *Prices are at time of review and may have changed. Whew, does this tea stink! Not in a figurative “I don’t like this” kind of way, but in a literal “That does not smell like tea” kind of way. This is the first Pu Erh I had and it turned me off to them for a while. It gained the nickname “Brent’s Stinky Tea” around the office because it can be smelled from a desk over. To be clear, I really like the taste, but the smell is hard to get used to. It’s not a terrible smell as much as a strong one. The closest thing I can think that it smells like is maybe wet hay? Obviously, this is what turns people off on the tea, and it’s really too bad. If you can get used to the smell, it has a unique, complex taste: earthy, woody, a little funky, with almost a hint of mushrooms. 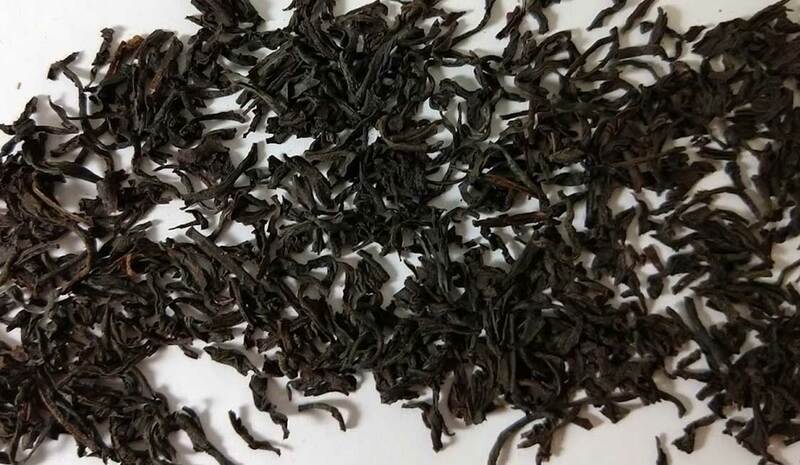 What I like most is that for all that flavor it is incredibly smooth, unlike a black tea which can start to get astringent when it has flavor is this strong. It is a shou tea. 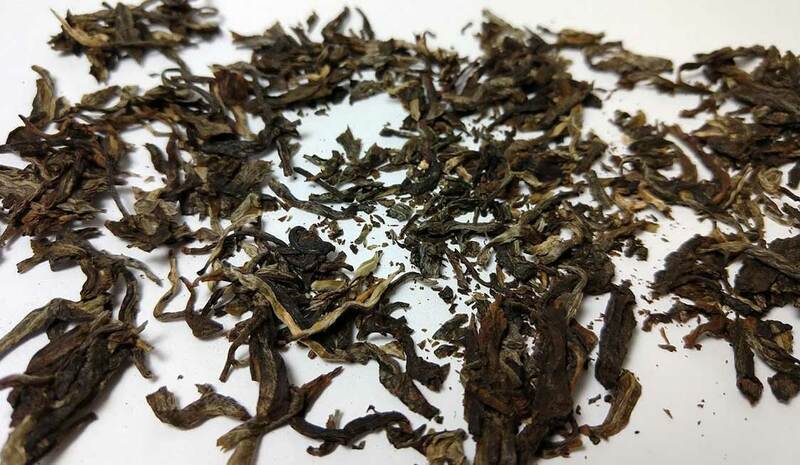 From the Pu-erh sampler I got from Adagio it is the most straightforward pu-erh tea in the lot. I like the blends that add things to offset the smell, but it’s nice to try it “straight” a few times to learn to appreciate it. I like this tea because it is very…interesting. Dark, funky Pu Erh tea combined with a chocolate orange. That’s exactly what it tastes like. The chocolate and orange masks but doesn’t hide the trademark pungent smell of the tea. Flavor-wise, the orange and chocolate are really strong. 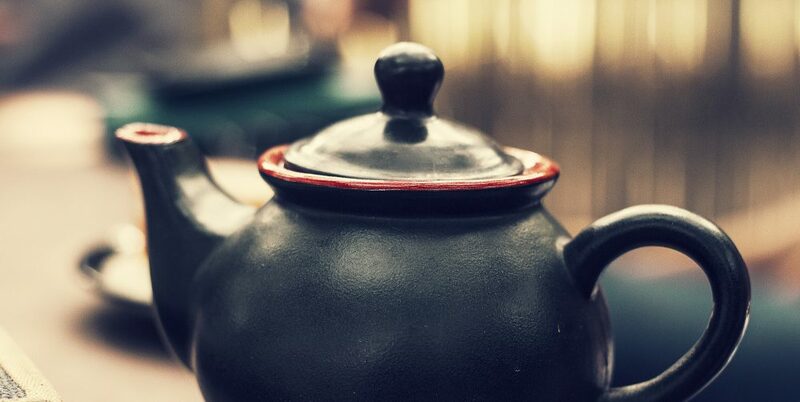 Strong enough to overpower a normal tea, but the pu–erh holds up to it. 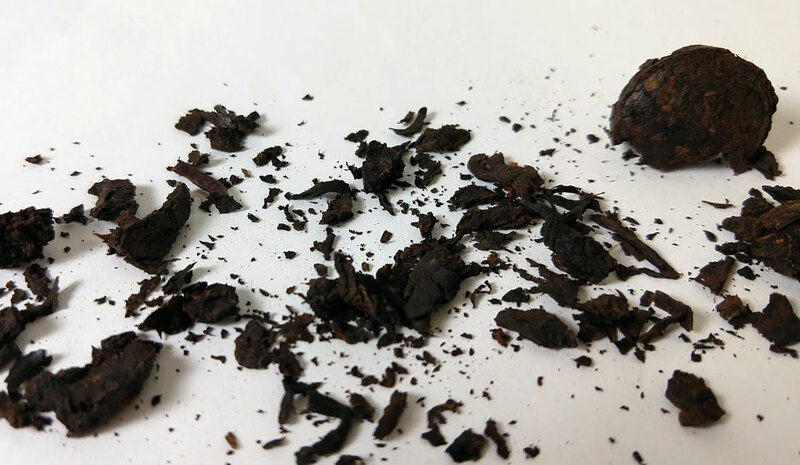 The chocolate and the earthiness of the pu–erh play off each other well, and the orange lifts it up from being too heavy. Not something I would want to drink every day. Still, even after all the kinds of tea I’ve had, every time I drink it I think: “Hmm, that’s different” (in a good way). Tea Leaves: Earthy, chocolaty smell, with a hint of citrus. One of my favorite teas to warm up with on those first fall Michigan days. the vanilla really takes over flavor-wise – but in a good way. It smells a bit like sugar cookies once it’s brewed. 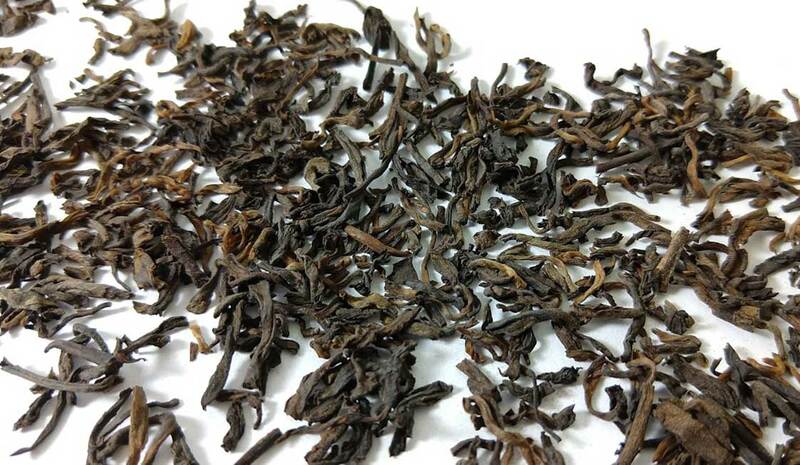 The Ceylon tea is “High Grown” which supposedly is the best quality. It’s hard to tell a difference because the vanilla is so strong. It does have almost no bitterness which is what allows the vanilla to shine so I can see why they chose it. Writing these reviews that last few weeks I’m realizing how much I tend to gravitate toward Ceylon tea, I’ve always known I enjoyed it, but it’s interesting that so many of my favorites over the past few years use it. Brewing: 3-5 minutes @ 212º F.
I’ve drunk (drank, drunken, dranked? I don’t know, grammar is silly) more of this tea than any other. It’s been my go-to day in, day out, make my brain work a little better source of caffeine. If I do the math right, I’ve gone through just shy of ten pounds of this tea in the last two years. 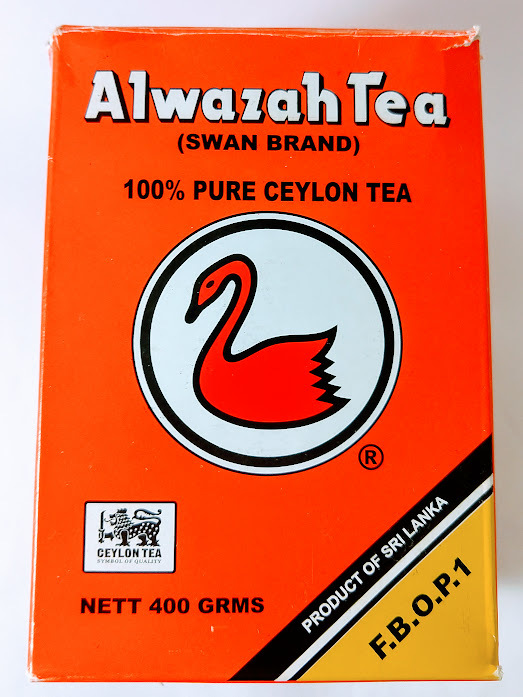 As I mentioned before, Ceylon is one of my favorite types of tea, and this is a great example of that. Smooth, earthy, just a hint of bitterness, it’s what I think of when someone says the word “tea”. It’s maybe not as exciting as some exotic blend or exclusive hand-picked first-flush, but it has a solid flavor plain, with milk, or milk and honey. It’s also the first tea I ever bought that had the tea grading right on the box which I think is cool. Equally important, it costs about $6 for 400 grams (about 14 oz) where I buy it locally. Exotic tea is fun but gets expensive fast. This is another tea from Great Lakes Tea and Spice that I have gotten a few times over the last few years. To be honest, I’ve only had about half of it because it was my wife’s favorite tea for a while. It’s a nice green tea, grassy and mellow, the goji berries add a nice tart fruit taste. It reminds me a little bit of Adagio’s citron green, but with a little bit more floral flavors. Overall it makes a great late afternoon drink. Brewing: Heat water until steam just starts to rise, steep for 30 seconds the first time, and one minute the second. (Note: These are the official directions, to be honest though, I brew it like any other green tea, 170-180 degrees, 3-5 minutes. 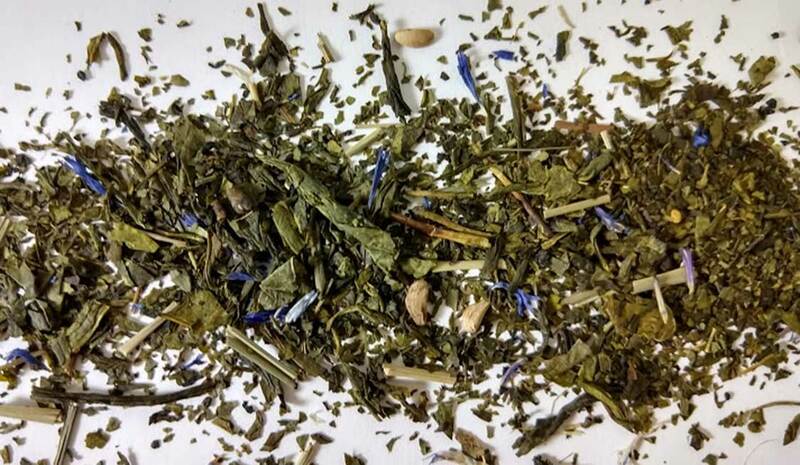 This week I get to share one of my favorite teas over the past few years: Mackinaw Breeze. 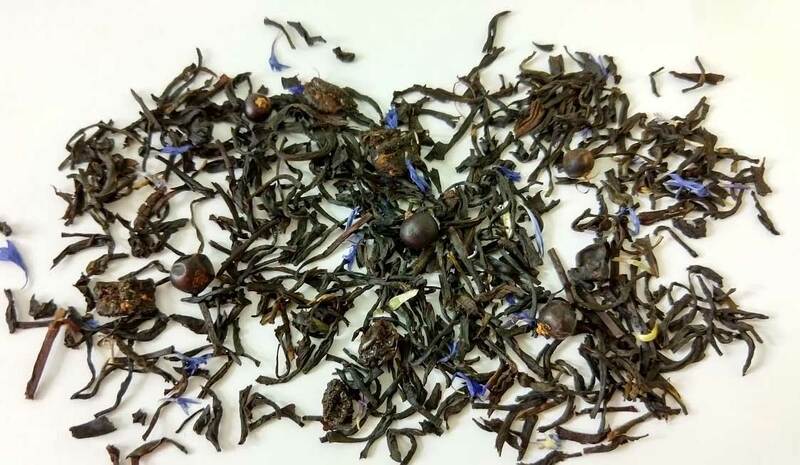 It starts off with a base of Ceylon tea, one of my favorite black teas. 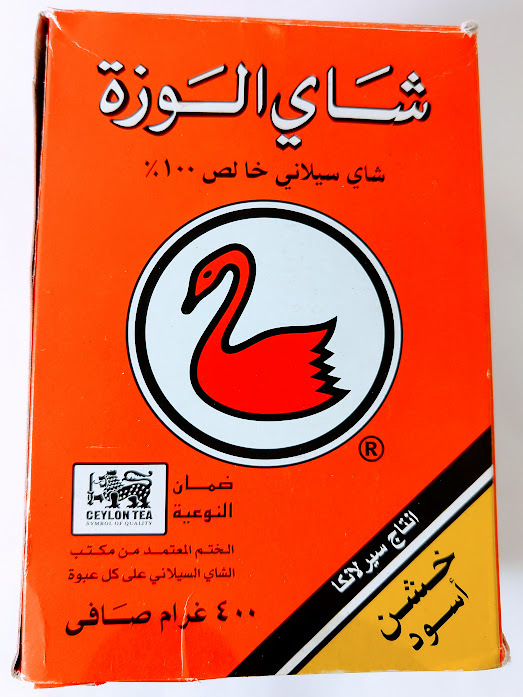 A lot of times when you get a flavored tea they skimp on the quality of the base tea, but this is a great Ceylon tea. The juniper berries, black currants, and strawberry pieces take that and add a lightness to it with the fruit notes that they provide. 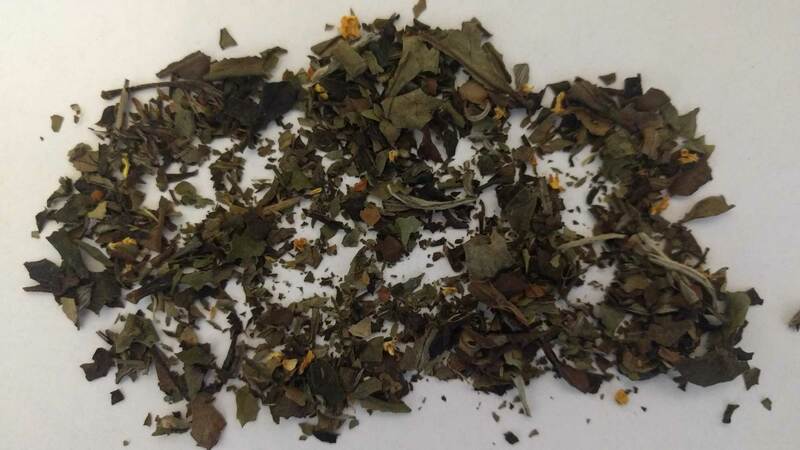 You wouldn’t think that you could add three different fruits to a black tea and maintain a good balance, but that’s exactly what this tea does. It smells absolutely amazing. I almost always drink this hot, but I know that a lot of people like it as an iced tea as well. Either way, if you get a chance you should give it a try, you won’t regret it. My biggest complaint about white tea is that they can be too subtle, and in the worst case, almost tasteless. Not so with this tea, which has become my favorite white tea. The peach aroma leads to a pleasant taste which matches. The tea provides a good base (silver needle and some other white tea), while the peach and citrus flavors shining through. Complimenting without overpowering. Brewing: 5-7 minutes @ 180º F.